You don’t have to spend a fortune on designer glassware to get the look you love. 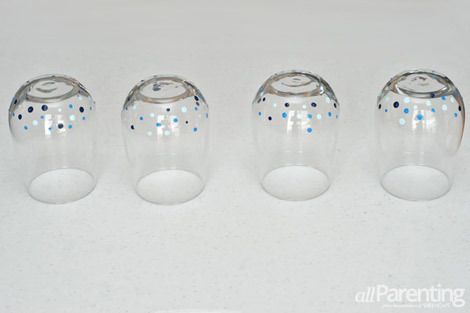 Create your own confetti tumblers that will perfectly match your decor for a fraction of the price! Confetti-look glassware is very popular these days. You can find it in lots of high end stores, but those glasses tend to break the bank. 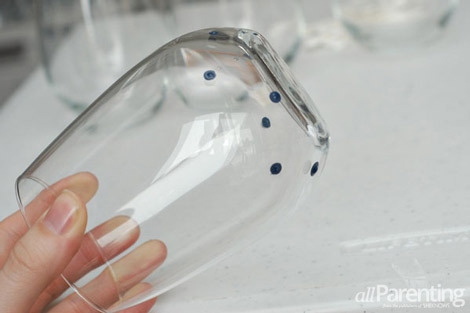 Follow these easy steps and you can make an entire set of glassware for the cost of just one glass at the store! 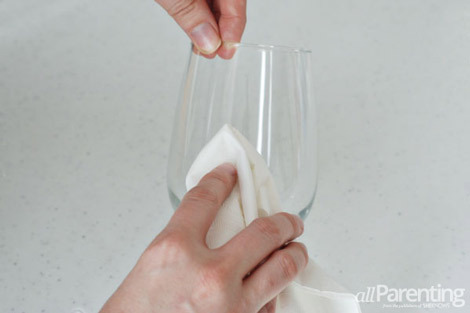 Thoroughly clean the outside of the glasses with the glass cleaner. 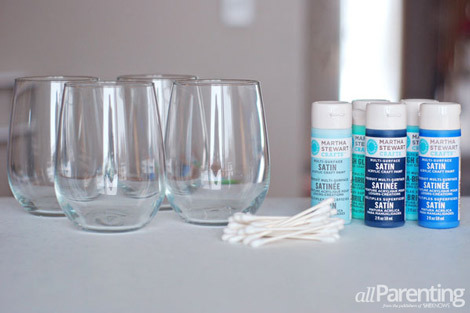 I chose to use stemless wine glasses for this project, but you can use any kind of glass. Put a dollop of each color of paint on the paper plate. 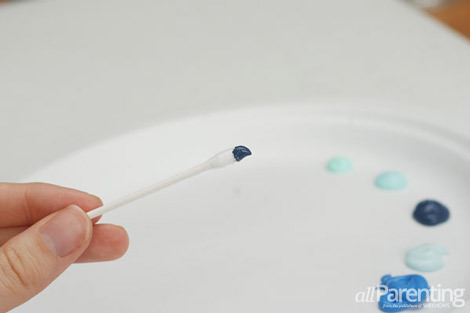 Dip a cotton swab in one of the colors. 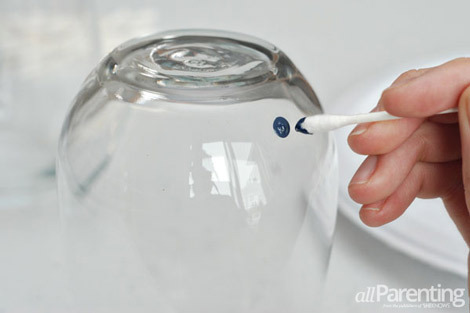 Use the cotton swab to make dots on the glass. You can vary the size of the dots by changing how firmly you press. Put several dots of the first color on the glass. Add more dots using the other colors of paint. Don't overlap any of the dots at this point. 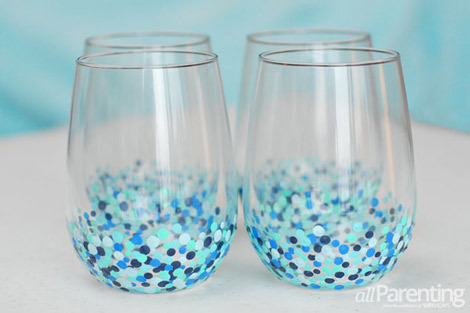 Once you have put several dots of each color, set the glasses aside to dry for 30 minutes. 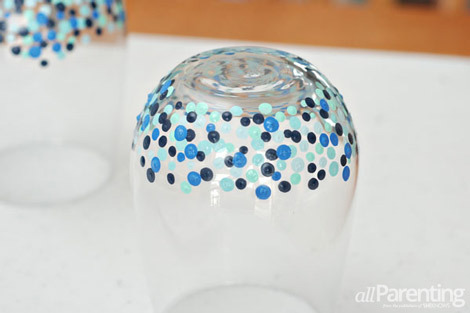 Add more dots (this time you can overlap your first layer of dots) then let the paint dry for an additional 30 minutes. Keep adding dots until you are happy with the way your confetti glasses look. You can choose to cover the whole glass, or just the bottom portion like I did. Put the glasses in a safe place to let them cure. The instructions for the Martha Stewart paint recommends a curing time of 21 days before you use the glasses. The Martha Stewart paint is designed to be dishwasher safe after 21 days. After several days the paint seems to be pretty durable. You might be able to get away with gently using your glasses at that point, but do so at your own risk. 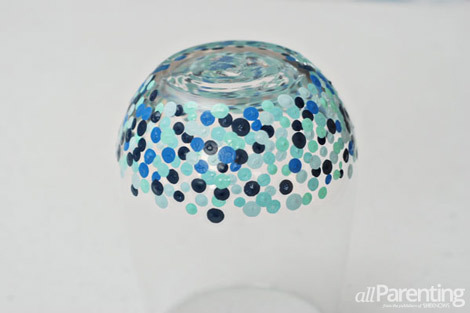 The paint colors used in this tutorial are: deep sea, Greek tile, surf, summer haze and beach glass.